Here is Part 2 of this post…This weekend, I’ll post a heart-healthy recipe incorporating two of the 5 tips! The only way I used to know how to cut onions was either into circles, half-moons, or wedges. I can now add little “squares” to my repertoire! 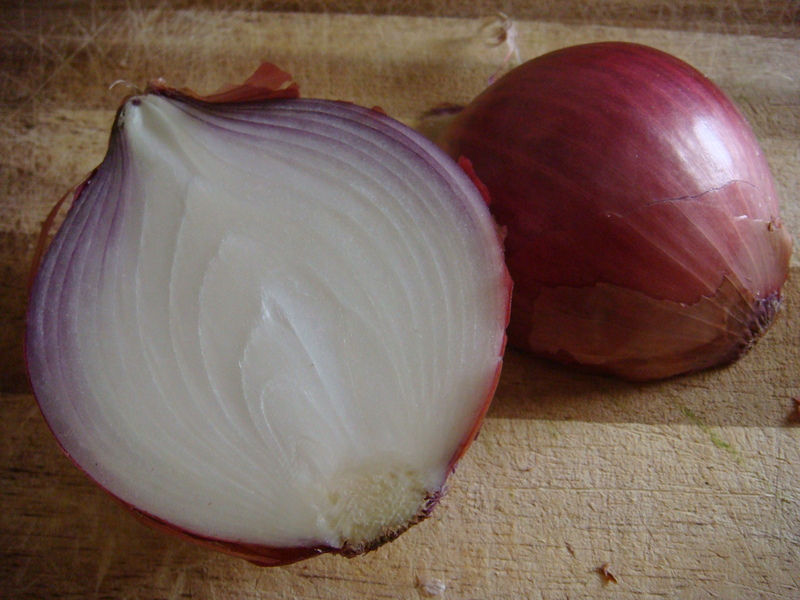 Take a whole onion and cut it lengthwise so you are cutting through its stem and top. Remove the outer skin. 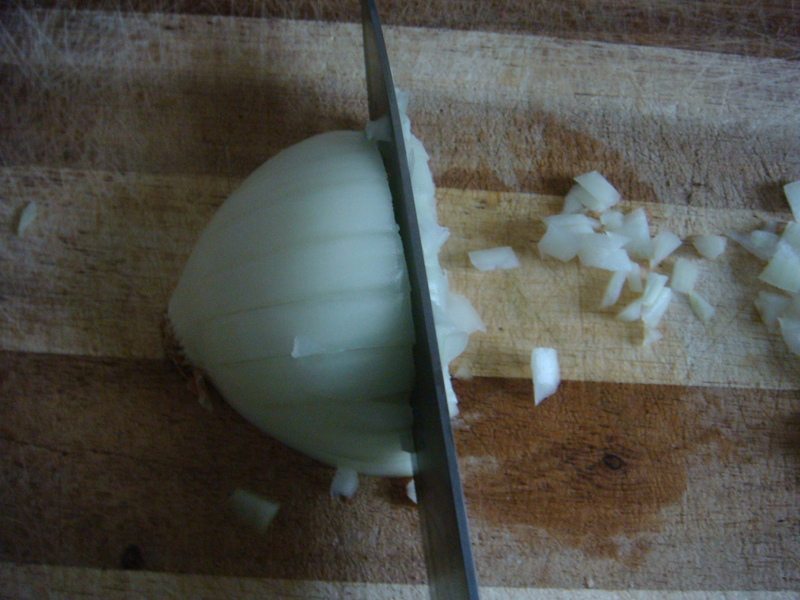 Lay one of the onion halves flat side down, the top heading right if you’re right-handed, left if you’re left-handed. 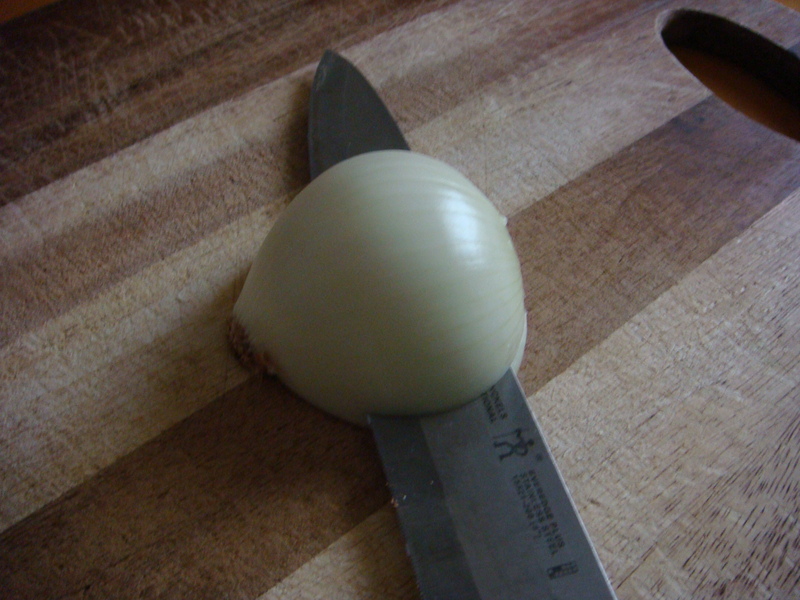 Using a chef’s knife, start from the flat end of the onion (closest to cutting board) and make a cut from top to root, away from you, stopping before the root. Make sure you know where your fingers are at all times! Repeat in even increments. Then make perpendicular cuts in the same increments. 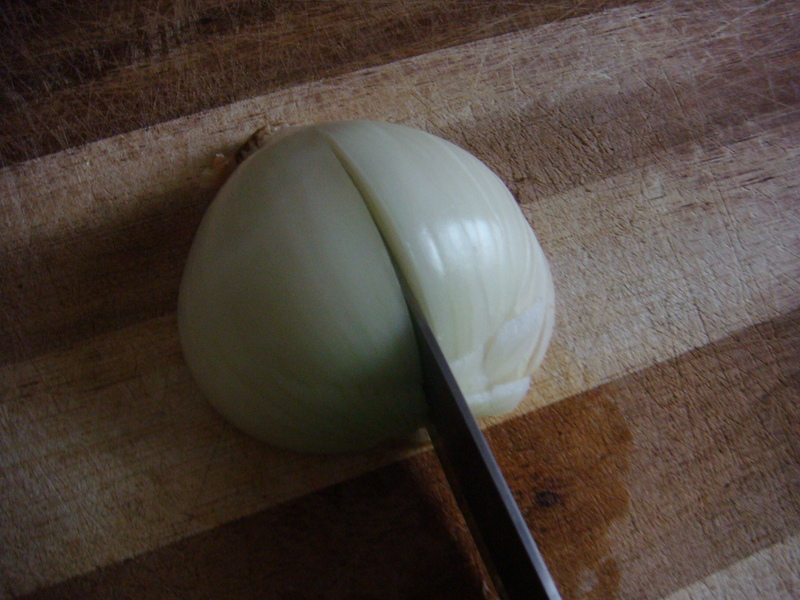 Now cut the onion as if you were making half-moon cuts, which should result in little identical pieces. So if you make your first set of cuts ½ inch apart, make sure the other sets of cuts are ½ inch apart in order to get your diced onion as symmetrical as possible. There are two reasons for salting eggplant. One is to remove the bitter taste some eggplants have, the other reason is to avoid a soggy mess when making dishes such as eggplant parmesan. Both problems can be resolved by getting rid of all the water they hold. Line the bottom of a large colander with one layer of cut eggplant (cut the way you will be using them in your recipe) and then sprinkle salt over them. Layer with more eggplant and continue the process until the colander is full or you finish the eggplant. Top the eggplant with a plate and weigh it down with something heavy enough to smoosh the eggplant down a bit. Make sure you either put the colander in a bowl or in the sink as the eggplant will release a lot of water. After 2 hours, remove the eggplant, give them a little squeeze, wipe off the salt, and lay the slices on paper towels to absorb any remaining moisture. Thanks Yarrow! Glad you liked the tips!